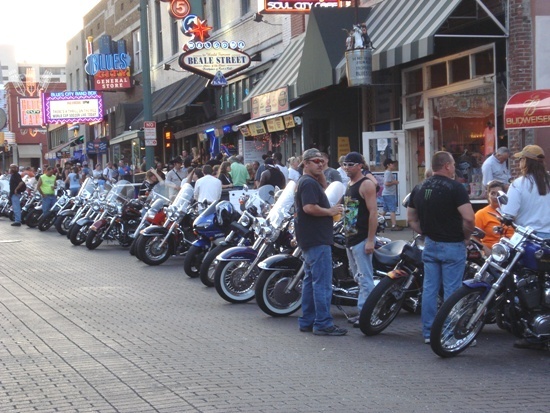 Every Wednesday starting around 5pm, motorcycles start cruisin’ in to take over Beale Street. 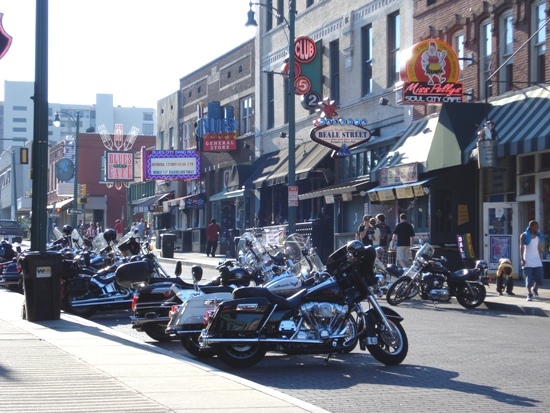 It’s a *tradition* here in Memphis from the spring to fall seasons. This year it started on April 21st, lasting through October 6th. 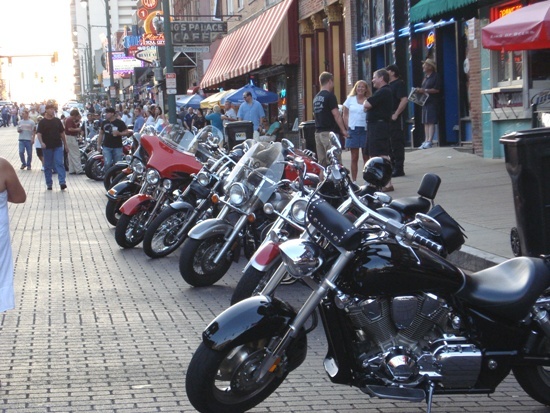 If there’s one thing you can count on, it’s that the bikes are all spit-shined. 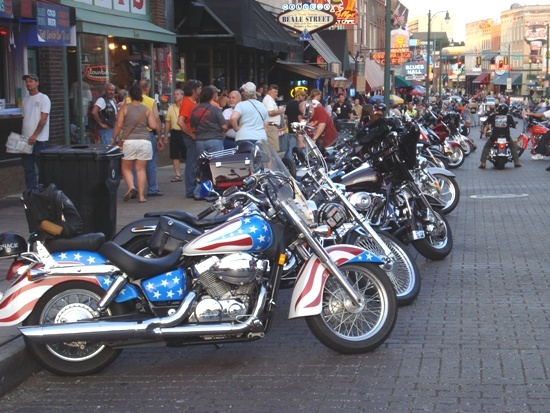 The bikers take pride in their babies. Heck, I’ll just show ya! As I got tired of people-watching (after about an hour or so, but who’s counting?! 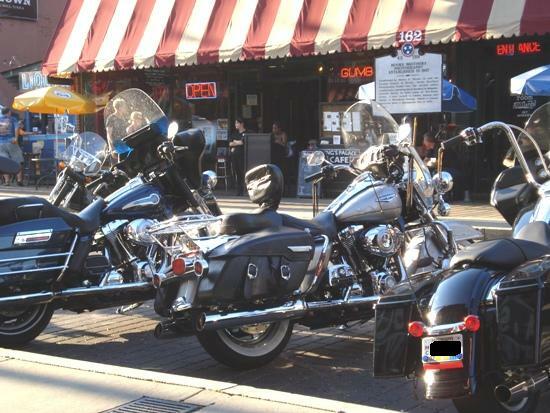 ), it was obvious more bikers had rolled in with their smooth rides. I wanna ride…that red one! 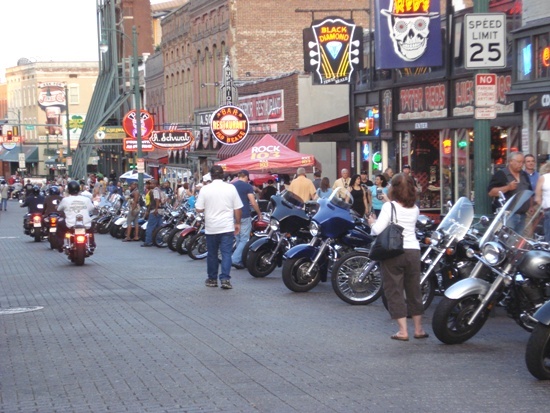 Apparently they fill-up the next block–between 3rd & 4th Streets–too! Good luck finding a space on this block, fellas! Good traditions should never ever die. ‘Nuff said. Stay tuned for The Tin Fish.